Anyone who’s been reading this blog for any length of time has probably figured out that culinary exploration – artisanal and/or innovative kitchen play – is truly one of my greatest passions. I’ve gone through a “from scratch” phase (it all started with veggie stock, and continued on through DIY green powder) and a fermenting phase (first there was kombucha, and then came the sauerkraut, and don’t forget the sriracha sauce!) and a very experimental phase (strawberry marinara, anyone?). 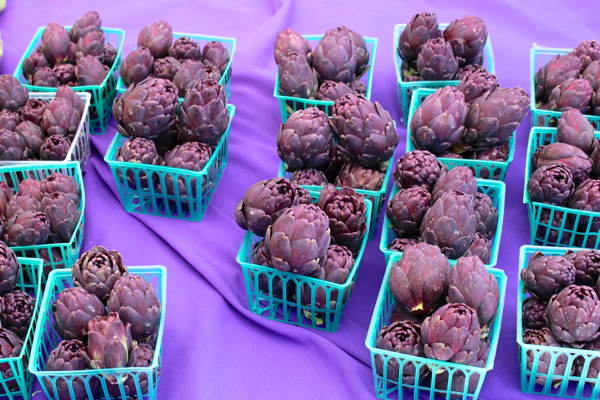 I draw so much of my inspiration from the Farmer’s Market, but there’s only so many ways you can cook, blend, dehydrate, and otherwise manipulate your produce. Okay I take that back, there’s pretty much an endless array of fantastic ways in which you can manipulate produce, but for the sake of this story, let’s just say that my love of farm-to-table dining, coupled with my ever-active culinary creativity, has led me here. 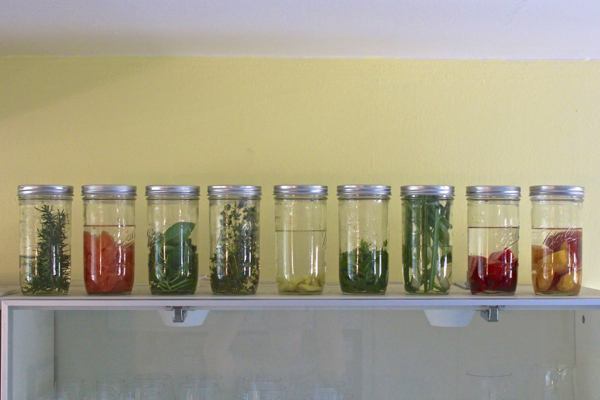 To this: my liquor infusion phase. Let this be the year of the cocktail, I say! 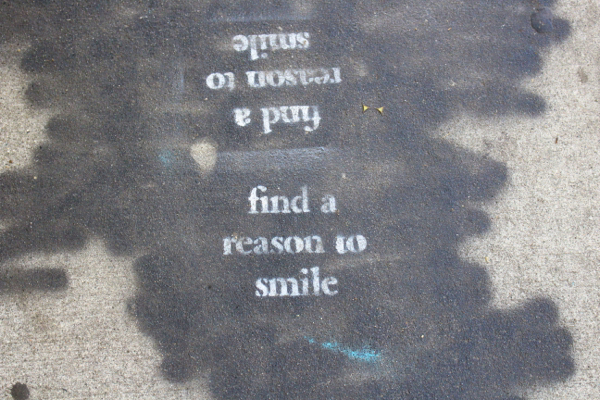 Sidewalk graffiti at the Venice Beach Farmer’s Market. 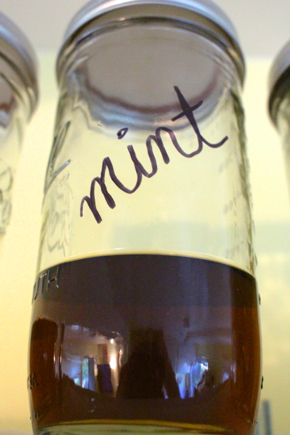 Homemade artisanal infusions, using organic or homegrown produce, are ridiculously easy to make. Like, SO easy. And I promise you that these incredible elixirs will elevate your cocktails to new heights; that they’ll delight the eyes and tickle the tongues of you and all your summer party guests. I promise. 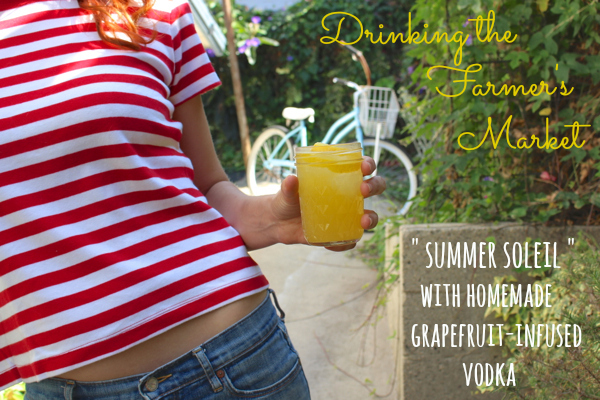 And also, I promise you that I’ll share a brand new Farmer’s Market-inspired cocktail recipe -featuring an infusion – every Sunday morning for the rest of the summer. Sound good? Alright! So here’s how it’s done. 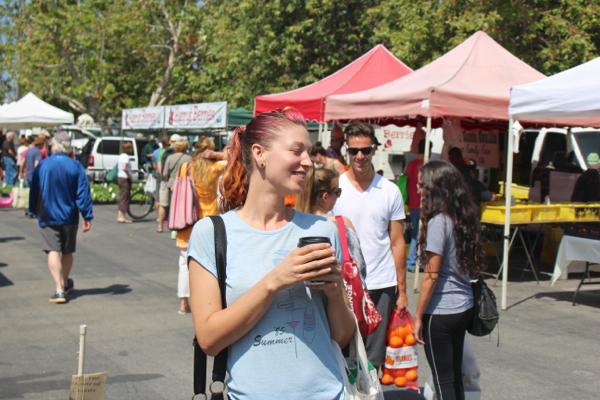 First things first, off to the Farmer’s Market for a little aesthetic arousal. Let thy produce be thy muse. 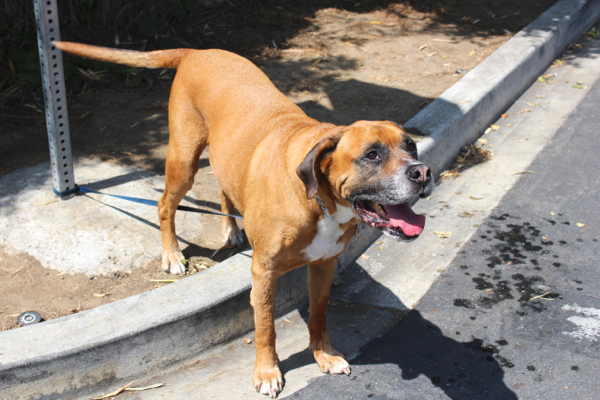 Harley waited so patiently – no dogs allowed at the Venice Beach FarMar. Who knew? 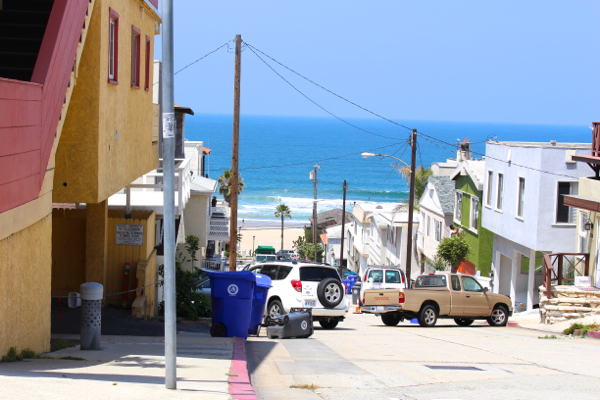 You only live once – take the scenic route. 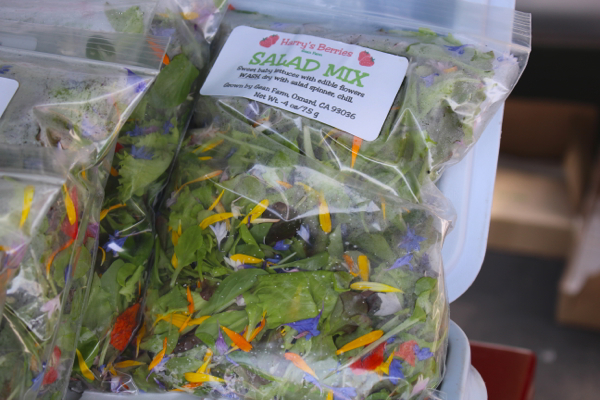 Now it’s time to prep your ingredients and gather your supplies. 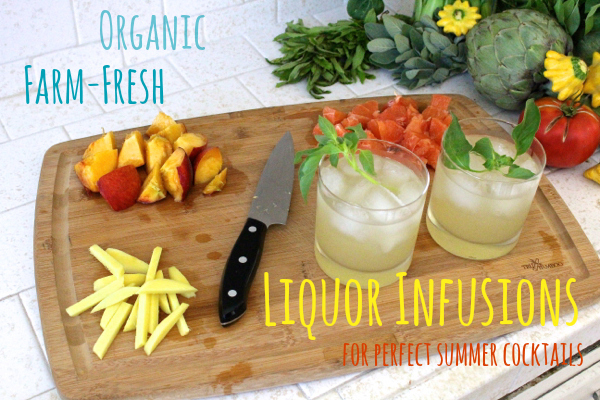 You’ve got your fresh produce from the market, and you’ll need whatever liquor you want to infuse. I say use vodka – you can’t go wrong with vodka – but of course there’s rum, tequila, gin . . . whatever suits your fancy. Organic alcohol is available, and you can verify the vegan status of any booze using Barnivore.com (many beers, wines, and spirits are fined or clarified using animal-derived ingredients). 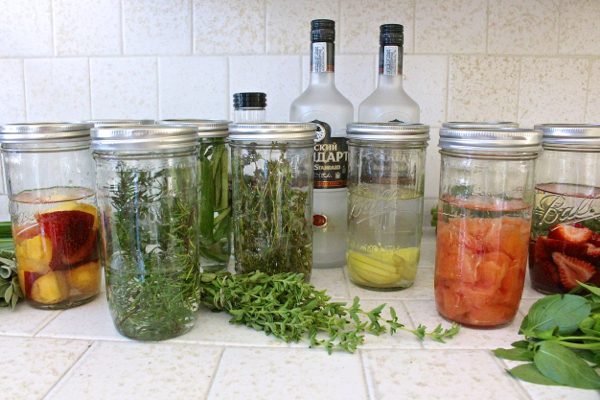 Aside from the food and the liquor, you’ll just need glass jars to hold your infusions! Prep all your ingredients. 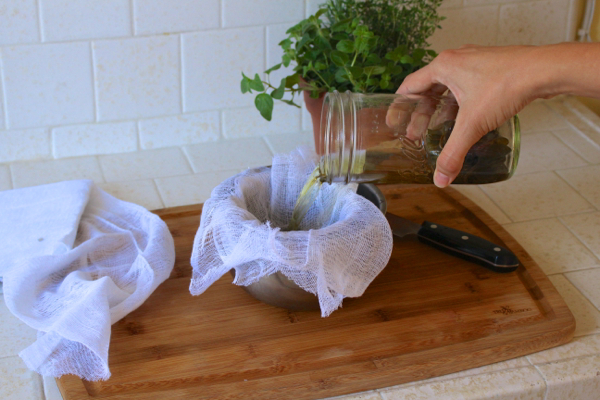 For things like fresh herbs, this just means a rinse and the removal of any browned leaves. For soft-skinned fruits, like cherries or peaches, you shouldn’t need to peel them. For citrus you’ll want to knife-peel, meaning you should use a knife to remove all of the white pith, lest your liquor become bitter. Skin your ginger, remove the outer layers of lemongrass or leeks, etc. It’s pretty intuitive, I think. Wash and dry your glass jars. Add the produce. 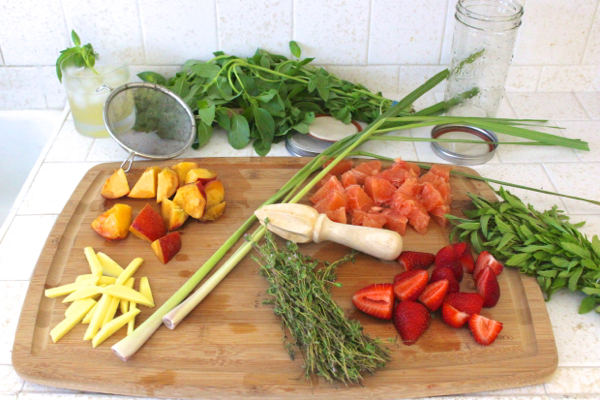 Mint, lemon basil, peach, rosemary, ginger, thyme, lemongrass, strawberry, and grapefruit. Add the liquor. Fruit should be completely submerged. Herbs? Meh. Cap those suckers and that’s it – now it’s just a waiting game. Soft fruits like strawberries or pineapple may be done in as little as 3-4 days. Herbs usually take about a week, and harder stuff like ginger or lemongrass may take up to two weeks. You can shake, smell, and even taste, as time goes by. You’ll notice the color begin to change almost immediately. 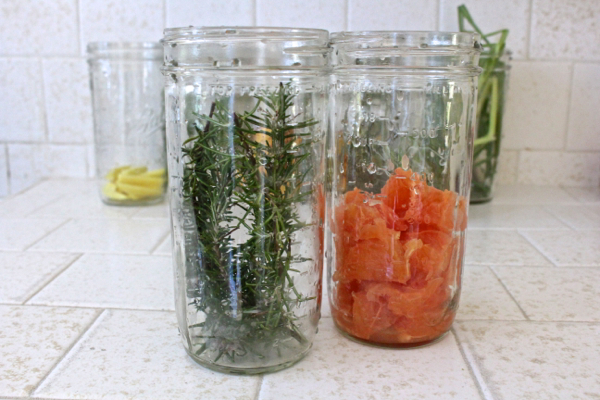 Vodka infusions – hour zero. 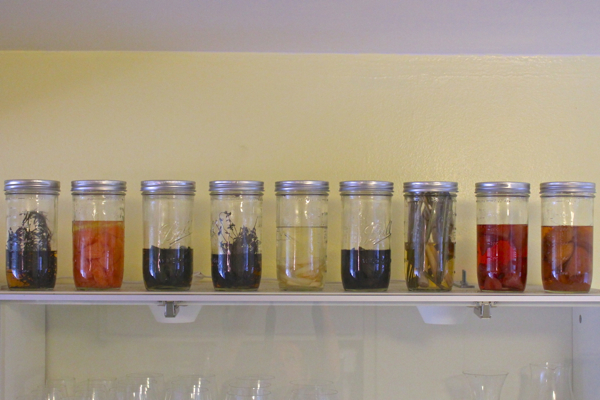 Vodka infusions – one week later. 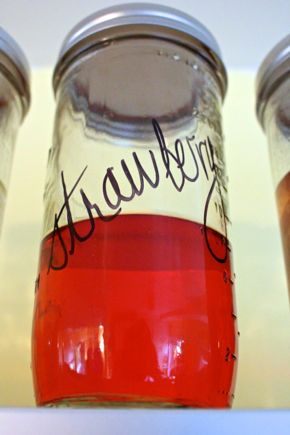 When your infusions have steeped to the desired potency, the final step is to strain them. 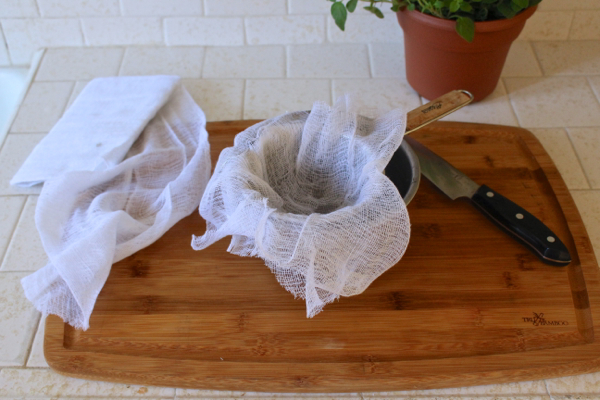 You can use cheesecloth, or a nut milk bag, or even a very fine mesh sieve. 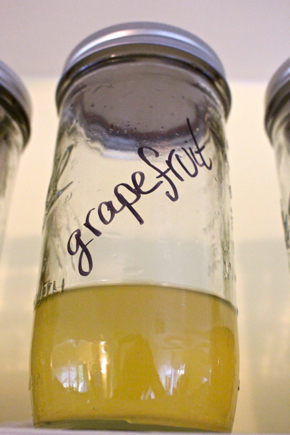 Keep the lids screwed on tight, and you won’t have to refrigerate them. Don’t forget to clearly label! And that’s that. Get creative, invite some friends over, and slap on your mixologist hat. You know what I always say – have fun with it! So creative Sayward. I’m not a big drinker, but cocktails I can do! Sounds fab, and so much easier than I expected. I made a jalapeno-lime infused simple syrup for cocktails based on a recipe from getsconed and, while incredible and delicious, it was a bit more time consuming. Thankfully, a little goes a long way! Can’t wait for the cocktail recipes – I’m really with you on this being the year of cocktails! This made me chuckle…reminded me of the time I..ahem..attempted to make a jalapeno vodka. Let’s just say yours came out a lot prettier (and a heck-of-a-lot tastier) than mine! Just came across this article…interested to know your thoughts. Feel it holds any water? 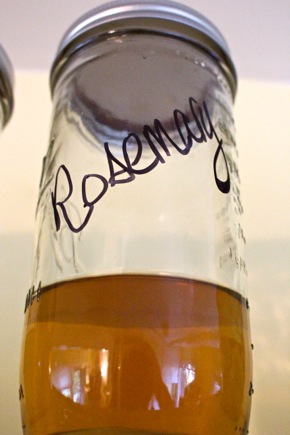 my favorite infused vodka from my kitchen last year was garlic-carrot-celery-caper. like a bloody mary in a shot! Holy summer project Batman! Thanks for the inspiration, as always. It is ridiculously fun. You MUST try it! Yeah, and you can make them weak if you don’t want as much alcohol. They’re just so pretty and fun and delicious! Ooh I look forward to getting into cocktail syrups later on. And hooray for the year of the cocktail! Oh yeah, Jess is the queen of DIY mixology. She’s even doing bitters this year – so cool! Aww, well you should try again. These are easy AND pretty AND delicious! Hey Rebecca, which part concerns you? I don’t worry about free glutamic acid (which is different from MSG) and I don’t feel like nutritional yeast is particularly processed, at least not in any sort of excessive, I-need-to-avoid-it way. For me, I’ve researched nooch quite a bit and I’m very comfortable eating it as much as I do, which is often daily. Just my 2 cents! OMG that sounds awesome. I’d love to try a totally savory one! Yes, best summer project EVER! I don’t drink but this is a really good gift idea for my sisters. Thanks Sayward. 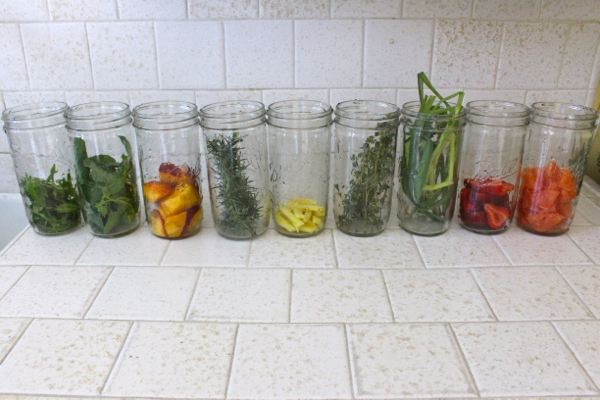 PS…Do you do anything with the herbs and fruit after straining? Compost? Or are they still edible? Seriously, the more I read about food, diet, nutrition, health, etc. (and, trust me, I’ve read a LOT over the years) the more my head spins. It gets to the point where you either are afraid to eat ANYTHING (“Do you KNOW what is in most water?? ?” ha ha…soon I will be afraid to breathe the air since it is completely “contaminated”)…or else just say feck it and curl up with a box of cookies and a bag of Doritos! You had me at “drinking”, and I about had a foodgasm when I read “liquor infusion”! I LOVE the “feck it” approach….the struggles of eating healthy! Lordy, Lordy, gimme some of that good stuff! Wow, that strawberry came out so pretty! We infused honeysuckle one year, it tasted just like they smell. this popped up in my inbox and i thought of your infusions. 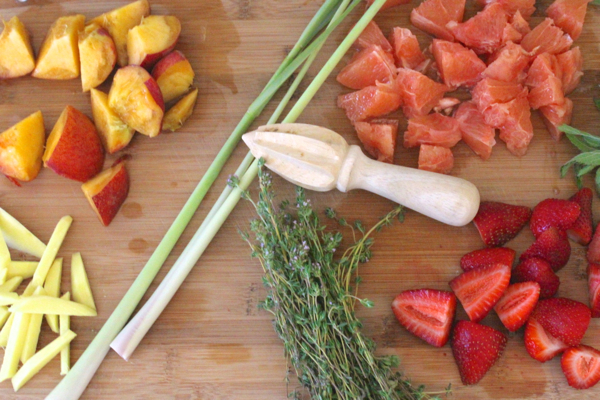 Cannot wait to see what you do with peach… I’m thinking peach and ginger lemonade spritzer thingies?